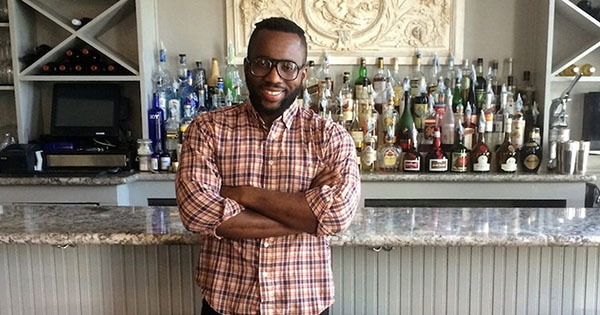 Black Chef Charging White People More than Black People For Their Meals -- And His White Customers Don't Mind It! A nice meal and a purposeful advocacy? Tunde Wey, a chef from Nigeria, has been offering both through his pop-up stalls that serve meals and aims to change people's racial perspectives. The lunch counter, commonly known as Saartj, however, received opposing remarks for charging white people more than double the Black people pay for their meals. Wey installed his first pop-up stall at the Roux Carre market in New Orleans, Louisiana last February. The month-long lunch counter is more than just a meal service, but a sociology experiment as well. Wey tries to teach a lesson about racial wealth disparity. In New Orleans, the median income among African American households is $25,806, compared to $64,377 for white households. Nationally, the average wealthy black family makes $140,000 while wealthy white families make $919,000, according to the Urban Institute. After telling this, he would tell his customers the price: $12 standard price and $30 suggested price. Black customers are charged $12 while White customers would have to choose to pay $12 or $30. "When I tell black folks what's happening, 90 percent of them start laughing, like, 'For real?' They're tickled," Wey laughingly told The Washington Post. "White folks, there's this blank -- this blank look. They're like, 'Huh, okay.'" Wey said that he will not be keeping any profit for himself. The net profit from the sales at the suggested price will rather be redistributed to Black customers who want it. Wey did not initially expect favorable results of the experiment. He said he expected White customers not to pay the higher suggested price but it turned out that 80% actually chose to pay the higher price. Moreover, Black customers said no when he asked if they wanted a refund. Some even tried to pay the suggested price of $30 because "they felt obligated to pay the higher price." In 2016, Wey also traveled across the United States for provocative dinner series he called Blackness in America. He and the guests would have conversations about racism, sexism, politics, police brutality, among others, over the meals he prepared. While there are some who considers it as cathartic, it turns out to be a debate sometimes. "This conversation is supposed to be impolite. It's supposed to be uncomfortable," he told The Washington Post. On April, Wey will be bringing Saartj to Detroit. But it will not be the same as how he did it in New Orleans. In coordination with Malik Yakini of the Detroit Black Community Food Security Network and Devita Davison of FoodLab, Wey continues to educate people through food in order to improve outcomes for African Americans.